Getting your documents signed off is an important task in any software project. However, this may take time for some people to do. Learn some tips for getting them signed off in this article. 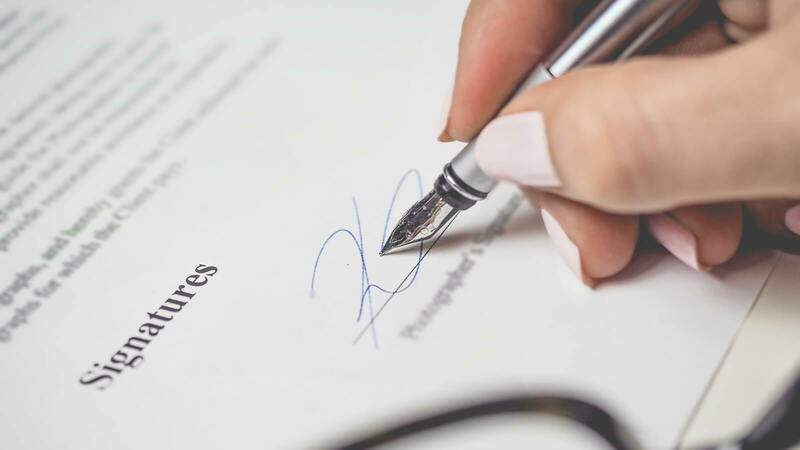 Years ago, to get a document signed off, you needed to print the document and get someone to physically sign it. I remember printing a version of a document and carrying it around the office, even to different floors, to get the right people to put their signature to it. This is why they call it signoff – because it used to be a physical signature. This was not only a hassle, it wasn’t complete, as there was always someone who worked in a different office. This meant we either had to wait until they arrived in our office, or ask for acceptance over email. These days, printing and signing documents to get acceptance is no longer needed. There are better ways to get it done. It also saves paper, because you don’t need to print the document to get it signed. I mentioned earlier that we sometimes used an email as a form of acceptance for those people who worked in a different office. Since those days, it seems email acceptance has become the normal method of getting a document signed off. Determine who you need to sign off on the document, such as your manager. Send an email to these people, asking for an email response saying they accept the document, or with any changes. When you get the emails back from people saying that they accept, it’s a good idea to attach those emails into your document as proof for those who are reading it. The main problem with asking for an email acceptance of your document is that it can be easily ignored. People can see the email and decide to read it later. This can mean that you never get your document signed off, and you can’t progress. You can get around this problem by asking for a deadline. Giving people a time limit on when they need to respond will help you get emails back for the document. Make sure it’s a realistic timeframe though. Depending on the size of the document and the type, anywhere from two days to two weeks is usually enough. This gives people a deadline to give you a response, and also indicates to them when you need it by, so they can plan accordingly. Sometimes, people aren’t sure why you’re asking for signoff. I’ve heard people ask me why I need signoff if I’ve been talking to the right people the whole time, and that the document should just “be right”. It’s better to get any issues with the document sorted out now, rather than later in the project, as it’s cheaper and faster to do it now. Getting everybody to agree also makes it easier as everyone knows what you’re talking about. Having a good-quality documentis also easier to get signoff, as people will be able to read and understand it much easier.